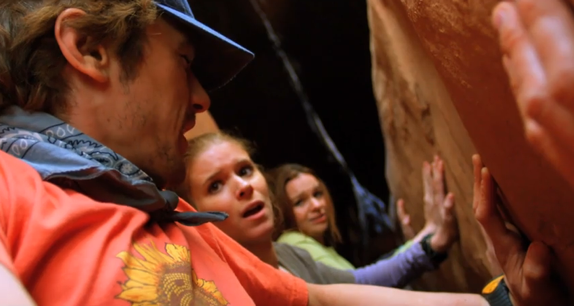 Danny Boyle’s latest film 127 hours is based on the true story of Aron Ralston, an American canyoneer who was trapped by a boulder in John Blue Canyon, Utah for nearly five days. The closing film for this year’s BFI London Film Festival, it follows the day Aron became trapped, leaving his house without telling anybody about his plans, exploring the canyon and meeting two girls along the way. Lost, he shows them a route off the guide maps, both cluing us into his extensive knowledge of the canyon and also providing an insight to his character. It’s after he leaves hikers Megan and Christie to go on his own path that things take a sudden turn for the worst. Getting his arm caught between a canyon wall and loose boulder that falls on top of him, it soon becomes clear to both us and Aron, he’s in a lot of trouble. 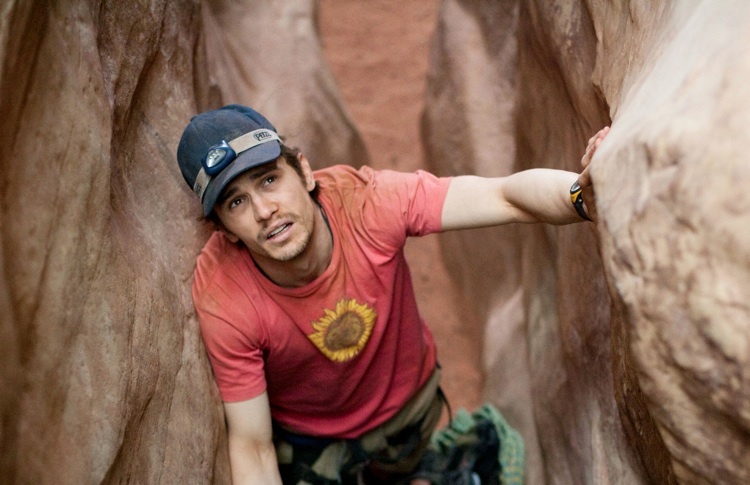 Trying to fight his way out, the eventual performance of desperation achieved in a single take that lasted for some 22 minutes, Boyle told actor James Franco to physically try his hardest to pull his arm from the rocks grips. Momentary escape from the canyon is provided by flights of past memories with family and imagined futures. We watch as Aron leaves messages on a video camera for his parents, a man who’s underestimated them throughout his life, records in the hope that who ever finds him will be able to pass them on. After the fifth day has passed, Aron knows he won’t make it through the next 24 hours alive. With all hope of rescue lost, he makes the decision to live realising the only way of making this achievable is to leave his arm behind. In a scene that saw the audience sink in to their seats, we watch as Aron deliberately dislocates and forcibly amputates his own arm with a blunt pocketknife. The amazing special effects handy work of Tony Gardner, combined with the nerve breaking sound effects, make for a scene not for the lighthearted. Once free from the boulder, Aron is by no means in the clear just yet, having to scale a 65 foot wall and hike eight miles before he finally gets rescued. The performance of James Franco throughout is something to be admired. He manages to carry the majority of the film alone, executing the level of performance needed for a role of this intensity. All that aside, I did feel the execution of the film was a little too directed. The multiple split screens featured at the beginning of the film were a little unnecessary I felt. I watched the first ten minutes of 127 hours believing I wasn’t going to like it, I also hated the opening soundtrack music which accompanied it but the music did stop and the film in time did find its pace. The re-introduction of the split screen worked a lot better towards the end of the film. I love the fact Boyle decided to use the “real” Aron Ralston for shots with his family which re-created those from the dramatisation. Clips of Aron swimming and still hiking really completed 127 hours and felt like a natural ending for this endearing true story. Saw this last night and totally agree with the fact that 127 Hours is a “little too directed”, in fact I was trying to think how to describe my feeling towards Boyle’s latest film and that describes it perfectly! The director seems to have used every trick in his locker for his latest film and it feels totally unnecessary. Split-screen, speeded up/time lapse footage, slow shutter speeds…I’m sorry Danny but we’ve seen it all before in your other films. The scene with the infamous arm cutting scene feels like its been taken straight from 28 Days Later and the flashbacks we saw in Slumdog Millionaire, it just all feels a bit samey samey! In all honesty, I pretty much sat through most of the film just willing James Franco to cut his arm off and end my ordeal. The only emotion I felt at any point was at the end of film (and no it wasn’t relief for the film ending) when we are reminded this is the incredible true-life story of Aron Ralston. 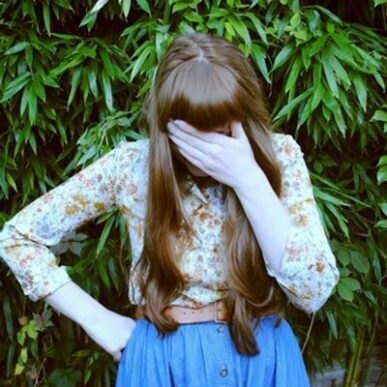 In the hands of a talented documentary filmmaker this could have been a great film, instead it feels as if Boyle has added extra drama to a tale that didn’t need the addition. I was really hoping with all the hype 127 Hours would be one of my films of the year, but instead not only was I left bitterly disappointed, but I’ve also started to question just how good a director Boyle really is!